Colorado Pardon And Clemency Law is a confusing and complex topic of Colorado criminal law. This article addresses the basis and procedure to obtain a pardon – and or executive clemency and concludes that it is a long shot that may not be worth the effort necessary to attempt as a practical matter. The Colorado Pardon Application Process does NOT involve the courts. It is an administrative procedure handled exclusively by the Colorado executive or gubernatorial branch of the state of Colorado. The system is set up so that a lawyer is not required to seek a pardon… and while I am a criminal defense lawyer – I am also aware that a lawyer may or may not make a difference to the final result. Executive Or Gubernatorial Clemency in Colorado is of two types: those are commutation of a sentence and the granting of a pardon. The difference ? A pardon may be granted after a conviction and is a public forgiveness for a crime after completion of the sentence. A commutation modifies an existing sentence. Colorado Pardon And Clemency Law – So Then – What Is A Pardon Under Colorado Law? A pardon is a public acclamation or forgiveness for a crime after completion of a criminal sentence. It is awarded for acknowledgment of proof of rehabilitation, and is evidenced by a useful, productive and law-abiding life after serving one’s sentence. IT DOES restore firearm privileges, IT DOES remove civil (legal) disabilities, and IT CAN establish rights or privileges to acquire regulated licenses, and employment. For Felony Pardons – Seven years must have elapsed since completion of sentence. Misdemeanor: Three years must have elapsed since completion of sentence. The applications can be found online. They are first sent to the DA and the Judge or the convicting court who are then provided 10 days to comment. The Colorado Law on Clemency And Pardons Sections 16-17-101, 102. C.R.S. The governor is hereby fully authorized, when he deems it proper and advisable and consistent with the public interests and the rights and interests of the condemned, to commute the sentence in any case by reducing the penalty in a capital case to imprisonment for life or for a term of not less than twenty years at hard labor. After a conviction, all applications for commutation of sentence or pardon for crimes committed shall be accompanied by a certificate of the respective superintendent of the correctional facility, showing the conduct of an applicant during his or her confinement in the correctional facility, together with such evidences of former good character as the applicant may be able to produce. if available, for such comment as they may deem proper concerning the merits of the application, so as to provide the governor with information upon which to base his or her action. The governor shall make reasonable efforts to locate the judge who sentenced and the attorney who prosecuted at the trial of the applicant and shall afford them a reasonable time, not less than fourteen days, to comment on such applications. The requirements of this section shall be deemed to have been met if the persons to whom the application is submitted for comment do not comment within fourteen days after their receipt of the application or within such other reasonable time in excess of fourteen days as specified by the governor, or if the sentencing judge or prosecuting attorney cannot be located, are incapacitated, or are otherwise unavailable for comment despite the good-faith efforts of the governor to obtain their comments. Good character previous to conviction, good conduct during confinement in the correctional facility, the statements of the sentencing judge and the district attorneys, if any, and any other material concerning the merits of the application shall be given such weight as to the governor may seem just and proper, in view of the circumstances of each particular case, a due regard being had to the reformation of the accused. The governor shall have sole discretion in evaluating said comments and in soliciting other comments he or she deems appropriate. This board is made up of Colorado citizens appointed by the Governor. These individuals make specific recommendations to the Governor on all eligible pardon applications. The members – 7 -are not paid.. To get past the board you must score a recommendation of the majority of the sitting members – or 4 out of 7 members. Colorado Pardon And Clemency Law – A Closer Look at The Pardon Under Colorado Law. Only very old Colorado drug related criminal convictions may be sealed under Colorado law. There is no other expungement of adult convictions in Colorado and must remain a part of the public criminal record. Pardons are no different – but certain rights are restored under Colorado pardons law. The effect of a pardon in Colorado is not the same as sealing a case – as the pardon is itself a public record and is visible. The governor of a state is the head of the executive branch of state government and is not a court. 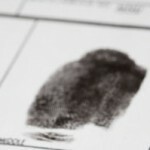 His or her decision is not appealable – it is the last word and – if denied – other than reapplying – a denial of a pardon or executive clemency in the absence of the right to seek an expungement or sealing of the record – means there is no other recourse to a Colorado criminal conviction. There are no LEGAL STANDARDS for the grant of a pardon – the standards tend be MORAL. A pardon is based on ideas of forgiveness and of mercy. The plea for a pardon is based on notions of humanity, of fairness, of rehabilitation, of the reformation of character, and – of critical importance – public safety. There are no deadlines that are imposed on the governor to rule on a pardon. Politically for the governor – commutations are more difficult to order. They involve executive branch intervention into a sentence imposed by the judicial branch of government… and interfere with a sentence that is still being served. An offender must work with his/her case manager to obtain the Executive Clemency Application. The case manager assists the offender by explaining the Executive Clemency Advisory Board Eligibility Criteria and offering guidance in completing the application and other pertinent documents that are required. Once completed, the application packet is reviewed at the offender’s facility to determine if criteria have been met. If the application is complete, CDOC’s Office of Offender Services reviews and submits it to the Colorado Department of Corrections Executive Director for review. The comprehensive packet is forwarded to the Director of Executive Clemency for further action. The Director convenes the Executive Clemency Advisory Board or the Juvenile Clemency Board. After review of clemency application packets, the Board recommendations are forwarded to the Governor. The Board may table an application for consideration at a later date. Once submitted, the Governor takes the application under advisement. Victim impact; and Sentencing disparities or inequities within the Colorado criminal justice system. Reward exceptional or extraordinary citizenship. The Clemency Coordinator seeks input from the district attorney, the judge who presided over the case, and the attorney who prosecuted the case. The coordinator will also seek input from the victim – if there is one and they are locate able . Once this is done the “pardon” packet is reviewed by the clemency board, which makes recommendations on the merits of each application to the Governor who then makes a final decision to grant, deny, table (postpone consideration) or take no action on the request. A pardon or clemency application can take between six months to one year to process. If the Governor of Colorado grants a pardon, that person is no longer “convicted of the crime.” However, once again – a pardon does not act as an expungement or sealing of records it shoes on a criminal history with reference to the criminal charge as “pardoned. And while the governor’s clemency board is mandated to “serve the interests of justice” by weighing sentencing disparities and other inequities…. the impact of politics has taken its toll in this area as in all areas of government over the last 20 years. In Colorado, obtaining a pardon is an achievement that establishes the LEGAL restoration for an individual to a useful, productive and law-abiding life following conviction. It is – at best – a long shot – but unlike all other long shots – it may be worth trying – utilizing a lawyer may not make any difference given the on- judicial nature of the relief. H. Michael Steinberg, is a Denver, Colorado criminal defense lawyer who will provide you with a free initial case consultation to evaluate your legal issues and answer your questions with an honest assessment of your options as regards Colorado Pardon And Clemency Law.